Posted October 20, 2015, in Events, News. Page last updated by CURE at 4:18 pm November 4, 2015 . 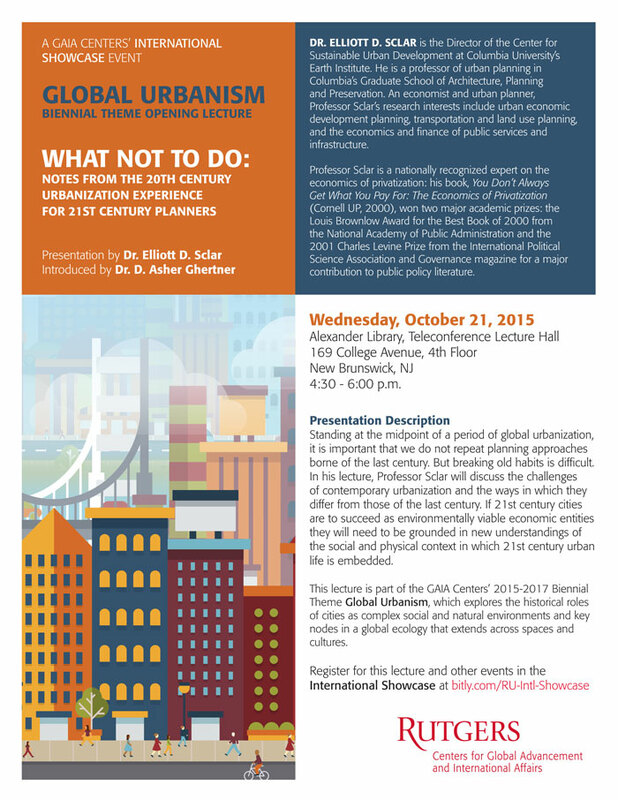 This page was printed from http://cure.camden.rutgers.edu/2015/10/20/gaia-presents-global-urbanism-biennial-theme-opening-lecture/ at 8:40 AM Saturday, April 20, 2019.